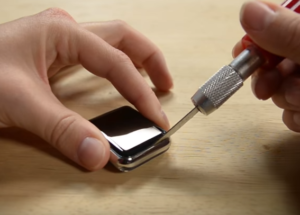 How to replace or repair Apple watch damaged screen. 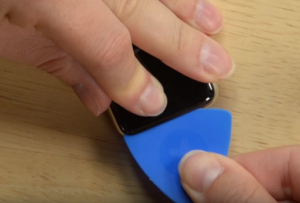 Is your apple watch screen cracked or damaged? Time to get that fixed, repair apple watch. One of the most brittle parts of apple watch is the screen. This screen includes OLED display and glass digitizer i.e touch screen. Keep the listed tools along with you for assistance. Place the iopener in the microwave and heat the iopener for 30 seconds, do not heat iopener more than 30 seconds else it may burst. After 30 seconds removes out iopener from microwave and avoid touching at the center. Place the iopener on the top surface of the Apple watch and leave it for at least one minute, this may soften the adhesive holding the screen and the case. As the gap between the screen and the body is so thin, we need a sharp blade to separate the screen from the body. But make sure that you do not apply more pressure while separating the damaged screen from the body as this may cut or break the internal connections. After getting enough gap insert the tip of opening pick under the glass. And try to separate the glass from the case. 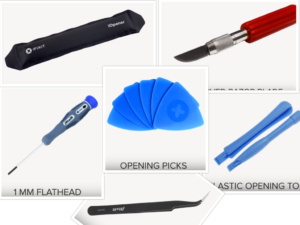 Try to push the pick from all the side as this may separate the screen from case easily. Once you see enough gap between screen and case try to pull out the damaged apple watch screen, but make sure that you do not damage digitizer cables. Lift up the screen and shift it to the left. Now use plastic opening tool to remove the battery from the bracket, now carefully separate the battery from its connectors. Now you can see that the display and digitizer cable connectors are secured beneath a small metal bracket that is adhered to the speaker. Make use of a plastic tool to move battery from the case and use fine tip tweezer to disconnect the digitizer cable form the screen. Now you are ready to place the new screen. As this process is very difficult and risky as the wrong move can even dead your watch forever. 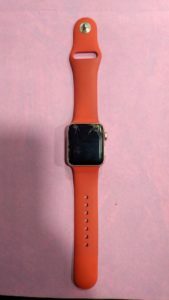 We strongly recommend you to please repair Apple watch at an apple service center only.